Sixto Diaz Rodriguez, known professionally as Rodriguez (born July 10, 1942), is an American singer-songwriter from Detroit, Michigan. His career initially proved short lived in the United States, but unknown to Rodriguez his albums became extremely successful and influential in South Africa, where he is believed to have sold more records than Elvis Presley. 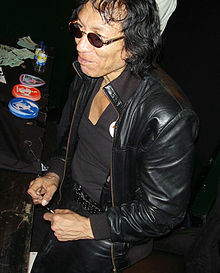 Because of scarce information about Rodriguez, it was incorrectly rumored there that he had committed suicide shortly after releasing his first album. In the 1990s, determined South African fans managed to find and contact Rodriguez, which led to an unexpected revival of his musical career. This was told in the 2012 Academy Award–winning documentary film Searching for Sugar Man and helped give Rodriguez a measure of fame in his home country. In May 2013, Rodriguez received an honorary Doctor of Humane Letters degree from his alma mater, Wayne State University, in Detroit. Rodriguez has been living in Detroit's historic Woodbridge neighborhood, through which he is seen walking in Searching for Sugar Man. He is known to live a simple life, possessing no telephone or cell phone of his own, and occasionally visiting bars in the Cass Corridor section of Detroit near Woodbridge and Midtown Detroit, such as the Old Miami pub, where he has performed live concerts for small local crowds. Rodriguez was born in 1942 in Detroit, Michigan. He was the sixth child of Mexican immigrant working-class parents. He was named Sixto (pronounced "Seex-toh") because he was their sixth son. His father had immigrated to the United States from Mexico in the 1920s; his mother was also from Mexico. They had joined a large influx of Mexicans who came to the midwest to work in Detroit's industries. Mexican immigrants at that time faced both intense alienation and marginalization. In most of his songs, Rodriguez takes a political stance on the difficulties that faced the inner city poor. Rodriguez earned a Bachelor of Philosophy from Wayne State University's Monteith College in 1981. In 1967, using the name "Rod Riguez" (given by his record label), he released a single, "I'll Slip Away", on the small Impact label. He did not record again for three years, until he signed with Sussex Records, an offshoot of Buddah Records. He used his preferred professional name, "Rodriguez", after that. He recorded two albums with Sussex, Cold Fact in 1970 and Coming from Reality in 1971. However, both sold few copies in the US and he was quickly dropped by Sussex, which itself closed in 1975. At the time he was dropped, he was in the process of recording a third album which has never been released. Rodriguez quit his music career and in 1976 he purchased a derelict Detroit house in a government auction for $50 (US$220 in 2018 dollars) in which he still lives as of 2013. He worked in demolition and production line work, always earning a low income. He remained politically active and motivated to improve the lives of the city's working-class inhabitants and has run unsuccessfully several times for public office: for the Detroit City Council in 1989, for Mayor of Detroit in 1981 and 1993 and for the Michigan House of Representatives in 2000. In 2013, it was announced that Rodriguez was in discussions with Steve Rowland, the producer of his Coming From Reality album. "I've written about thirty new songs," Rodriguez told Rolling Stone magazine. "He told me to send him a couple of tapes, so I'm gonna do that. I certainly want to look him up, because now he's full of ideas." 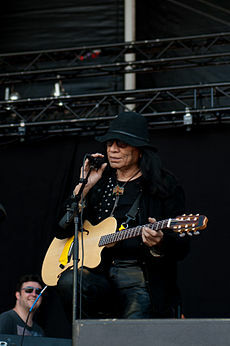 Although Rodriguez remained relatively unknown in his home country, by the mid-1970s his albums were starting to gain significant airplay in Australia, Botswana, New Zealand, South Africa and Zimbabwe. When imported copies of his Sussex albums were sold out, an Australian record label, Blue Goose Music, bought the Australian rights to his recordings. Blue Goose released his two studio albums as well as a compilation album, At His Best, that featured unreleased recordings from 1973 – "Can't Get Away", "I'll Slip Away" (a re-recording of his first single), and "Street Boy". At His Best went platinum in South Africa, which at one stage was the major disc-press source of his music to the rest of the world. He was compared to contemporaries such as Bob Dylan and Cat Stevens. Some of his songs served as anti-Apartheid anthems in South Africa, where his work influenced musicians protesting against the government. Reportedly, anti-apartheid activist Steve Biko was a Rodriguez fan. Rodriguez was also successful in Australia and performed two concert tours across the country in 1979 and 1981. In 1991, both of his albums were released on CD in South Africa for the first time, which helped preserve his fame. However, few details of his life were known to his fans and it was rumored that he had killed himself during a concert in the 1970s. Despite his success abroad, Rodriguez's fame in South Africa had remained unknown to him until 1997 when his eldest daughter came across a website dedicated to him. After contacting the website and learning of his fame in the country, Rodriguez went on his first South African tour, playing six concerts before thousands of fans. A documentary, Dead Men Don't Tour: Rodriguez in South Africa 1998, was screened on SABC TV in 2001. He also performed in Sweden before returning to South Africa in 2001 and 2005. 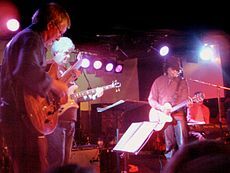 In 1998, Rodriguez's signature song, "Sugar Man", was covered by the South African rock band Just Jinger. In 2002, it was used by disc-jockey David Holmes to open his mix album, Come Get It I Got It, gaining Rodriguez more international airplay. "Sugar Man" had previously gained even more fame by having been sampled in the song "You're Da Man" in rapper Nas's 2001 album Stillmatic. In April 2007 and 2010, he returned to Australia to play at the East Coast Blues & Roots Music Festival, as well as sell out shows in Adelaide, Melbourne and Sydney. His song "Sugar Man" was featured in the 2006 film Candy, starring Heath Ledger. Singer-songwriter Ruarri Joseph covered Rodriguez's song "Rich Folks Hoax" for his third studio album. Rodríguez continues to tour in various countries. Rodriguez's albums Cold Fact and Coming from Reality were re-released by Light in the Attic Records in 2009. In 2014, the French deep house and electro music producer The Avener released a new version of "Hate Street Dialogue" originally appearing in Rodriguez's album Cold Fact. The new version by The Avener features Rodriguez's vocals. The release charted in France. Since the cinematic release of Searching for Sugar Man in 2012, Rodríguez has experienced a flush of media exposure and fan interest in the United States, as well as Europe. He appeared as a musical guest on the Late Show with David Letterman on August 14, 2012, performing "Crucify Your Mind", and performed "Can't Get Away" on The Tonight Show with Jay Leno on January 11, 2013. Prominent news coverage has included a mid-August 2012 CNN feature story with an interview of Rodriguez discussing his life and career resurgence. On October 7, 2012, Rodriguez was featured on the US television news program 60 Minutes. On November 18, 2012, Rodriguez was interviewed on the UK Sunday morning news program The Andrew Marr Show, where he also played a short song over the closing credits. He performed on the BBC2 program Later... with Jools Holland on November 16, 2012, and was interviewed by Holland. Additionally, he has performed on the web on such notable web series as The Weekly Comet. The film Searching for Sugar Man strongly implies that Rodriguez may have been cheated out of royalties over the years, specifically by Clarence Avant. This matter is still under investigation, and the legal issues are complicated. Rodriguez first expressed indifference to these "symbols of success" but has since decided to pursue the matter. In addition to concerts in Australia, South Africa and New Zealand, Rodriguez's tour schedule for 2013 included his most notable US concerts to date, such as a stint at the Beacon Theatre in New York City in April and a spot at the 2014 Sasquatch Music Festival at The Gorge Amphitheatre, as well as other concerts in Europe. He played on the Park Stage at the Glastonbury Festival, England, in June 2013. On July 5, 2013, Rodriguez opened the Montreux Jazz festival. On August 10, 2013, he headlined at the Wilderness Festival in the UK. In 2015, he opened for Brian Wilson's tour with Wilson, Al Jardine and Blondie Chaplin of The Beach Boys. 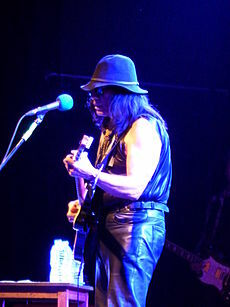 Rodriguez received additional marketing in 2014 as the Dave Matthews Band often covered "Sugar Man" in their summer tour. Matthews would preface the song with his experience as a fan of Rodriguez growing up in South Africa and his surprise at Rodriguez's (lack of) popularity in the United States. Rodriguez continues to tour throughout the United States, most recently headlining a run in grand theaters across the continent in August 2018, culminating with a hometown show at Detroit's Garden Theater. In 2012, the Sundance Film Festival hosted the premiere of the documentary film Searching for Sugar Man, by late Swedish director Malik Bendjelloul, detailing the efforts of two South African fans to see if his rumored death was true and, if not, to discover what had become of him. The documentary, produced by Simon Chinn and John Battsek, went on to win the World Cinema Special Jury Prize and the Audience Award, World Cinema Documentary. In addition to playing at other film festivals including the True/False Film Festival and the Traverse City Film Festival, the film opened in New York and Los Angeles on July 27, 2012, before a larger domestic cinematic run. It was also screened as part of cinema programs in some European music festivals during the summer of 2012, including the Way Out West festival in August, where Rodriguez also performed. In November it won both the Audience Award and the Best Music Documentary Award at the International Documentary Film Festival Amsterdam. The Searching for Sugar Man soundtrack features a compilation of Rodriguez tracks from his albums Cold Fact and Coming from Reality, in addition to three previously unreleased songs from his third unfinished album. The album was released on July 24, 2012. To allay possible concerns raised in the film about how Rodriguez was apparently cheated by his previous record label, the back cover bears the statement, "Rodriguez receives royalties from the sale of this release." Searching for Sugar Man won the BAFTA Award for Best Documentary on February 10, 2013. On January 13, 2013, Searching for Sugar Man was nominated for and, on February 24, 2013, won the Academy Award for Best Documentary Feature at the 85th Academy Awards. Rodriguez declined to attend the award ceremony as he did not want to overshadow the filmmakers' achievement. Upon accepting his award, Chinn remarked on such generosity, "That just about says everything about that man and his story that you want to know." Malik Bendjelloul also said on stage, "Thanks to one of the greatest singers ever, Rodriguez." In 2015, Craig Bartholomew Strydom and Stephen "Sugar" Segerman published Sugar Man: The Life, Death and Resurrection of Sixto Rodriguez. A review in Business Day called the book "probably one of the most unusual rock ’n roll stories out there". Rodriguez has three daughters and is separated from his second wife, Konny Koskos. His family is heavily involved in his career and he often takes them along on the road. 1970 "Inner City Blues" "Forget It"
"To Whom It May Concern" "I Think of You"
1978 "Climb Up on My Music"
"Sugar Man" is also included in the 2006 Australian film Candy. ^ Johnson, Scott (February 27, 2013). "Salta a la fama el rockero de origen mexicano Sixto Rodríguez, tras el Oscar a documental sobre él". El Sur Acapulco. El Sur Acapulco. Archived from the original on August 9, 2016. Retrieved September 7, 2016. ^ Malitz, David (July 26, 2012). "'Searching for Sugar Man' documentary rediscovers musician Sixto Rodriguez". Washington Post. ISSN 0190-8286. Retrieved May 13, 2018. ^ Bendjelloul , Malik, director. Searching for Sugar Man. StudioCanal, 2012. ^ Petridis, Alexis (October 6, 2005). "The singer who came back from the dead". the Guardian. Retrieved May 13, 2018. ^ "Rodriguez". Socialstereotype.com. July 10, 1942. Archived from the original on June 16, 2013. Retrieved June 17, 2013. ^ Vargas, Zaragosa. Proletarians of the North: A History of Mexican Industrial Workers in Detroit, 1917–1933. University of California Press, 1999. ^ Balderrama, Francisco. A Decade of Betrayal: Mexican Repatriation in the 1930s. Albuquerque, NM. : University of New Mexico Press, 2006. ^ "Wayne State University". Honors.wayne.edu. Retrieved September 15, 2012. ^ "Wife of Oscar-nominated 'Searching for Sugar Man' star Rodriguez says he'll stay in $50 Detroit home - MLive.com". February 2, 2013. ^ "Rodriguez, Sixto". Our Campaigns. Retrieved December 27, 2015. ^ Michaels, Sean (January 30, 2013). "Rodriguez set to return to studio after 42-year absence". The Guardian. Retrieved January 30, 2013. ^ "Rodriguez: Forgotten in America, Exalted in Africa". NPR. July 28, 2012. ^ A conversation with Searching For Sugar Man director, Malik Bendjelloul, The Independent, December 21, 2012. ^ Petridis, Alexis (October 7, 2005). "The singer who came back from the dead". The Guardian. London. Retrieved May 23, 2010. ^ Brian Currin. "Rodríguez – The Music: "...You're Da Man, Sugar Man..."". Sugarman.org. Retrieved June 17, 2013. ^ Members Home Book Tickets FAQ's Help. "East Coast Blues and Roots Festival (Also known as Byron Bay Bluesfest Archive)". Bluesfest.com.au. Retrieved June 17, 2013. ^ Stevenson, Mark (March 12, 2009). "Rodríguez 'Coming From Reality' gets new lease of life". altsounds.com. Archived from the original on March 16, 2009. Retrieved March 17, 2009. ^ Hung, Steffen. "lescharts.com - The Avener feat. Rodriguez - Hate Street Dialogue". lescharts.com. ^ Rodríguez: The Rock Icon Who Didn't Know It, reported by Bob Simon, segment produced by Michael Gavshon, CBS News, October 7, 2012. ^ Holland, Jools. "Rodriguez chats to Jools Holland". BBC. ^ "Sugar Man Rodriquez to play Wellington". Stuff. ^ "Dave Matthews Band 2014 Summer Tour: Sugar Man Stats". ^ Yuan, Jada. "Sundance: The Electrifying Search For Sugar Man". Nymag.com. Retrieved June 17, 2013. ^ "Searching for Sugar Man || A Sony Pictures Classics Release". Sonyclassics.com. Retrieved August 29, 2012. ^ "Winners of the IDFA 2012 Awards announced". Amsterdam, Netherlands: International Documentary Film Festival Amsterdam. Archived from the original on January 26, 2013. Retrieved January 26, 2013. ^ "SEARCHING FOR SUGAR MAN Original Motion Picture Soundtrack Brings Rodriguez's 1970s Music to a New Generation". Legacy Recordings. May 4, 2012. Archived from the original on January 27, 2013. ^ "Rodriguez – 'Searching For Sugar Man (The Soundtrack)' (Audio CD)". Ughh.com. ^ McCollum, Brian (January 10, 2013). "Sixto Rodriguez rides the wave of 'Searching for Sugar Man' success". Detroit Free Press. Retrieved January 23, 2013. ^ Andy Greene. "Rodriguez: 10 Thing You Don't Know About the 'Searching for Sugar Man' Star". Rollingstone.com. Retrieved July 8, 2013. ^ Reuters, Sapa-AFP. "Sugar Man takes Oscar". DailyNews. Retrieved February 25, 2013. ^ Germain, David (February 25, 2013). "Oscars 2013: 'Argo' Takes Home Best Picture at 85th Academy Awards". Moviefone. Archived from the original on April 11, 2013. Retrieved February 25, 2013. ^ Alistair Anderson (November 13, 2015). "BOOK REVIEW: Sugarman". Business Day. Archived from the original on March 4, 2016. Retrieved November 15, 2015. So, this is a book about a little-known man about whom an Oscar-winning documentary was made in 2006. Set scepticism aside — Sugarman: The Life, Death and Resurrection of Sixto Rodriguez collates interesting facts and discusses the many stories that relate to Rodriguez’s life, and authors Craig Strydom and Stephen Segerman’s search for their musical hero. ^ "Wife of Oscar-nominated 'Searching for Sugar Man' star Rodriguez says he'll stay in $50 Detroit home". ^ "Billboard 200 Charts > Rodriguez". billboard.com. Retrieved February 8, 2012. ^ "Official Charts Company – Rodriguez". Retrieved February 22, 2016. ^ "australian-charts.com – Discography Rodriguez". Hung Medien. Retrieved August 19, 2014. ^ "Belgian Charts (Flanders) > Rodriguez". ultratop.be/nl/ Hung Medien. Retrieved September 13, 2013. ^ "Danish Charts > Rodriguez". danishcharts.com Hung Medien. Retrieved March 2, 2010. ^ a b "French Charts > Rodriguez" (in French). lescharts.com Hung Medien. Retrieved February 2, 2011. ^ "Dutch Album Charts > Rodriguez" (in Dutch). dutchcharts.nl Hung Medien. Retrieved August 31, 2011. ^ "Norwegian Charts > Rodriguez". norwegiancharts.com Hung Medien. Retrieved March 10, 2013. ^ "charts.org.nz – Discography Rodriguez". Hung Medien. Retrieved August 19, 2014. ^ "Swedish Charts > Rodriguez". swedishcharts.com Hung Medien. Retrieved March 2, 2010. ^ "Swiss Charts > Rodriguez". hitparade.ch Hung Medien. Retrieved March 11, 2013. Wikimedia Commons has media related to Sixto Rodriguez. The article on Sixto's ethnicity.